I really enjoy creative writing—fiction for children and adults, essays (including blog pieces), and articles for children’s magazine. 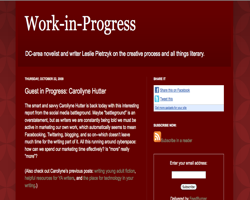 The process takes me into a whole other realm from nonfiction writing. Below are some samples. 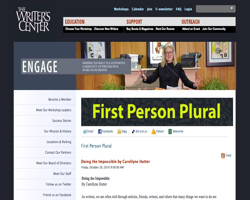 >> I periodically write for two excellent writing blogs: Work-in-Progress and First Person Plural (the Writer’s Center blog). Here are some pieces: Teens on my Mind, Brontes Reborn in Twilight, Resources for YA Writing. Fiction Works in Progress >>The following is the opening three chapters of Homesick, my young-adult novel.